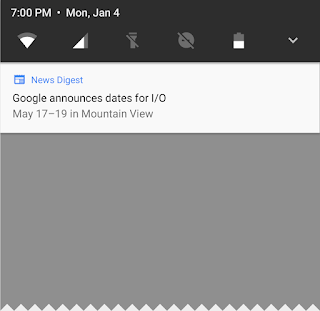 Android Developers Blog: O-MG, the Developer Preview of Android O is here! Since the first launch in 2008, the Android project has thrived on the incredible feedback from our vibrant ecosystems of app developers and device makers, as well as of course our users. More recently, we've been pushing hard on improving our engineering processes so we can share our work earlier and more openly with our partners. So, today, I'm excited to share a first developer preview of the next version of the OS: Android O. The usual caveats apply: it's early days, there are more features coming, and there's still plenty of stabilization and performance work ahead of us. But it's booting :). Over the course of the next several months, we'll be releasing updated developer previews, and we'll be doing a deep dive on all things Android at Google I/O in May. In the meantime, we'd love your feedback on trying out new features, and of course testing your apps on the new OS. Background limits: Building on the work we began in Nougat, Android O puts a big priority on improving a user's battery life and the device's interactive performance. To make this possible, we've put additional automatic limits on what apps can do in the background, in three main areas: implicit broadcasts, background services, and location updates. These changes will make it easier to create apps that have minimal impact on a user's device and battery. Background limits represent a significant change in Android, so we want every developer to get familiar with them. Check out the documentation on background execution limits and background location limits for details. 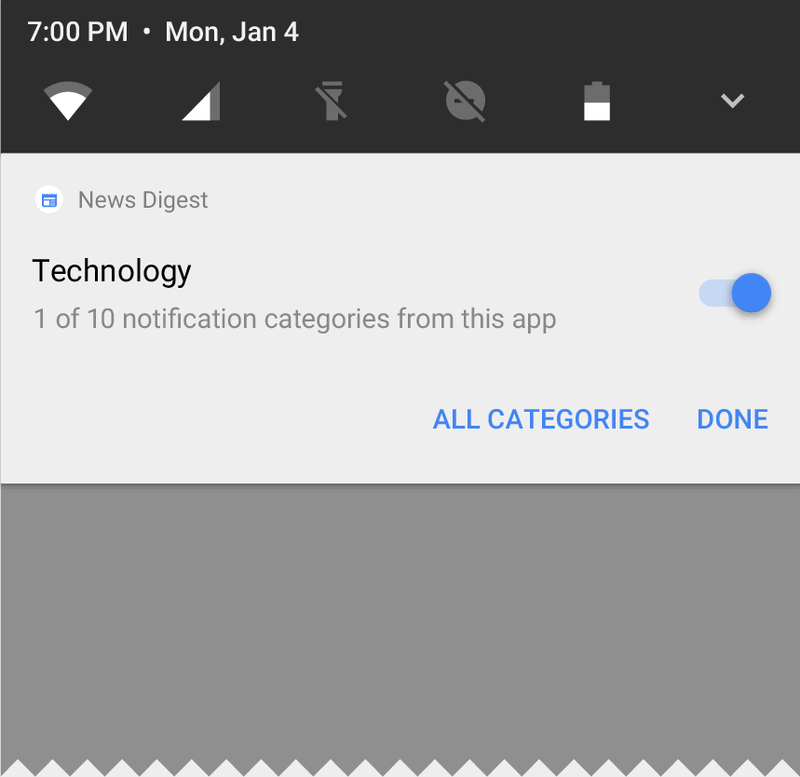 Notification channels: Android O also introduces notification channels, which are new app-defined categories for notification content. Channels let developers give users fine-grained control over different kinds of notifications — users can block or change the behavior of each channel individually, rather than managing all of the app's notifications together. 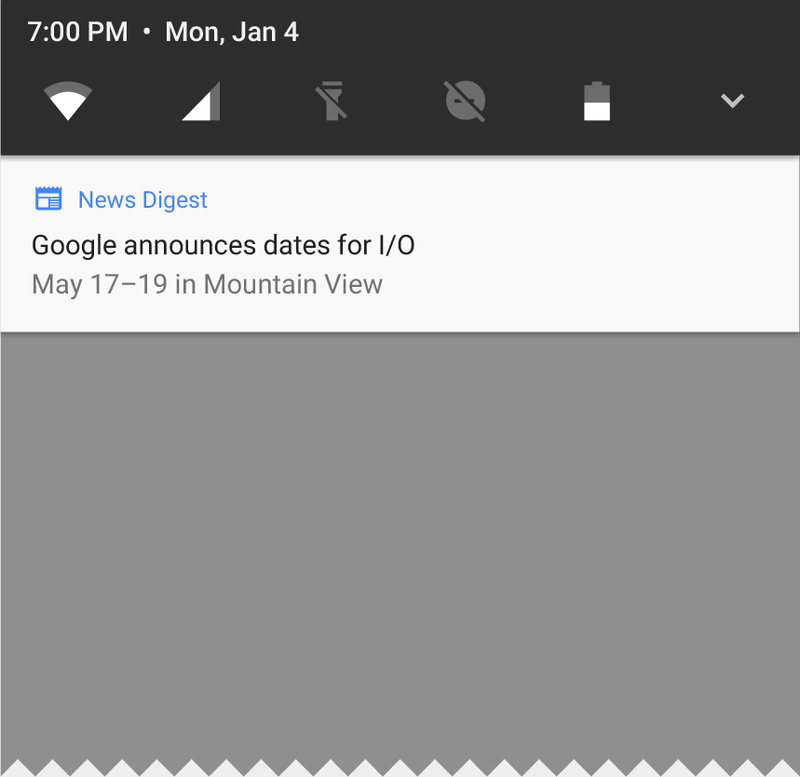 Android O also adds new visuals and grouping to notifications that make it easier for users to see what's going on when they have an incoming message or are glancing at the notification shade. Autofill APIs: Android users already depend on a range of password managers to autofill login details and repetitive information, which makes setting up new apps or placing transactions easier. Now we are making this work more easily across the ecosystem by adding platform support for autofill. Users can select an autofill app, similar to the way they select a keyboard app. The autofill app stores and secures user data, such as addresses, user names, and even passwords. For apps that want to handle autofill, we're adding new APIs to implement an Autofill service. PIP for handsets and new windowing features: Picture in Picture (PIP) display is now available on phones and tablets, so users can continue watching a video while they're answering a chat or hailing a car. Apps can put themselves in PiP mode from the resumed or a pausing state where the system supports it - and you can specify the aspect ratio and a set of custom interactions (such as play/pause). Other new windowing features include a new app overlay window for apps to use instead of system alert window, and multi-display support for launching an activity on a remote display. Adaptive icons: To help you integrate better with the device UI, you can now create adaptive icons that the system displays in different shapes, based on a mask selected by the device. The system also animates interactions with the icons, and uses them in the launcher, shortcuts, Settings, sharing dialogs, and in the overview screen. Connectivity: For the ultimate in audio fidelity, Android O now also supports high-quality Bluetooth audio codecs such as LDAC codec. We're also adding new Wi-Fi features as well, like Wi-Fi Aware, previously known as Neighbor Awareness Networking (NAN). On devices with the appropriate hardware, apps and nearby devices can discover and communicate over Wi-Fi without an Internet access point. We're working with our hardware partners to bring Wi-Fi Aware technology to devices as soon as possible. The Telecom framework is extending ConnectionService APIs to enable third party calling apps integrate with System UI and operate seamlessly with other audio apps. For instance, apps can have their calls displayed and controlled in different kinds of UIs such as car head units. Keyboard navigation: With the advent of Google Play apps on Chrome OS and other large form factors, we're seeing a resurgence of keyboard navigation use within these apps. In Android O we focused on building a more reliable, predictable model for "arrow" and "tab" navigation that aids both developers and end users. AAudio API for Pro Audio: AAudio is a new native API that's designed specifically for apps that require high-performance, low-latency audio. Apps using AAudio read and write data via streams. In the Developer Preview we're releasing an early version of this new API to get your feedback. WebView enhancements: In Android Nougat we introduced an optional multiprocess mode for WebView that moved the handling of web content into an isolated process. In Android O, we're enabling multiprocess mode by default and adding an API to let your app handle errors and crashes, for enhanced security and improved app stability. As a further security measure, you can now opt in your app's WebView objects to verify URLs through Google Safe Browsing. First, make your app compatible to give your users a seamless transition to Android O. Just download a device system image or emulator system image, install your current app, and test -- the app should run and look great, and handle behavior changes properly. After you've made any necessary updates, we recommend publishing to Google Play right away without changing the app's platform targeting. When you're ready, dive in to O in depth to learn about everything you can take advantage of for your app. Visit the O Developer Preview site for details on the preview timeline, behavior changes, new APIs, and support resources. Plan how your app will support background limits and other changes. 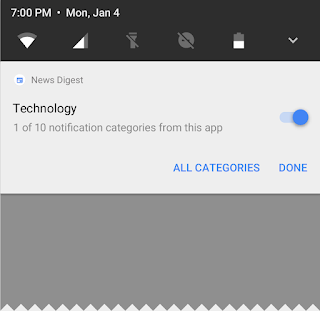 Try out some of the great new features in your app -- notification channels, PIP, adaptive icons, font resources in XML, autosizing TextView, and many others. To make it easier to explore the new APIs in Android O, we've brought the API diff report online, along with the Android O API reference. The latest canary version of Android Studio 2.4 includes new features to help you get started with Android O. You can download and set up the O preview SDK from inside Android Studio, then use Android O's XML font resources and autosizing TextView in the Layout Editor. Watch for more Android O support coming in the weeks ahead. We're also releasing an alpha version of the 26.0.0 support library for you to try. This version adds a number of new APIs and increases the minSdkversion to 14. Check out the release notes for details. The O Developer Preview includes an updated SDK with system images for testing on the official Android Emulator and on Nexus 5X, Nexus 6P, Nexus Player, Pixel, Pixel XL and Pixel C devices. If you're building for wearables, there's also an emulator for testing Android Wear 2.0 on Android O. We plan to update the preview system images and SDK regularly throughout the O Developer Preview. This initial preview release is for developers only and not intended for daily or consumer use, so we're making it available by manual download and flash only. Downloads and instructions are here. As we get closer to a final product, we'll be inviting consumers to try it out as well, and we'll open up enrollments through Android Beta at that time. Stay tuned for details, but for now please note that Android Beta is not currently available for Android O. As always, your feedback is crucial, so please let us know what you think — the sooner we hear from you, the more of your feedback we can integrate. When you find issues, please report them here. We've moved to a more robust tool, Issue Tracker, which is also used internally at Google to track bugs and feature requests during product development. We hope you'll find it easier to use.